Website design is one of genuine home business that can bring moderate income, unfortunately many website tutors have not been able to training discover easiest way of training people on how to design website portal without being a programmmer and without coding. Some student spend many months and end of the day they have to abandon the training. In this seminar we going to teach you how to design complex website such news portal link punch, business directory, online forum like nairaland etc without being a programmer, no coding required. You will be able to design dynamic website with login feature within few hour. Venue: 1, Medical Road, UBA Building, 3rd Floor, Ikeja, Lagos. Nigeria. Date: First batch: 10th February, 2018. 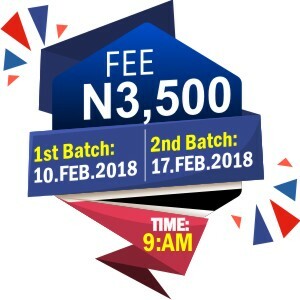 Register now to enjoy discount (N3,000 before the seminar and N3500 at the venue and to have your training material step by step video before the seminar day. Please note that we have limited space. Book your seat now. Click here or send seminar to 08035646062 or 08022295663. How to register domain name at very cheaper rate. How to make money from domain registration. How to host website at very cheaper rate. How to make substantial money from website hosting as reseller. How to design news portal like punch portal without being a programmer. How to design Business Directory/Job portal without being a programmer. How to write website proposal and explore the market. FAQ: What is the training fee? Where is the Venue of the seminar? Can we contact you after seminar? Yes. You can contact me at our office which also the venue of the training. What is the requirement, Do I need to kow coding? You do not need coding. You must know how browse the internet and be able to type little. Where your training is diffrent from others? We teach how to design complex website with simplex method. No coding a programing required. Can I know this seminar in a day? Yes. As the method to use is very simple. You will design website within 2hours. Please note that we have limited space. Register now and pay only N3000 instead N3500 at the seminar day. Can I know few of websites you have design? we are working on www.loungephotos.com base in london.